More than 1,000 students have made public decisions to follow Jesus during the last three years at the Kalahari Winter Retreat. Wanting to plan an exciting, life-changing event for kids in their church, youth pastors Brad Isch and Nick Cleveland, put their heads together nine years ago and laid out a crazy plan — host a water park retreat…in the winter! That year, the Kalahari Winter Retreat was held with 300 students from their own churches – Grace Community Church, Fremont, Ohio, and Grace Brethren Church, Wooster, Ohio. Today, this unique winter get-away has grown to more than 2,000 students and youth leaders from 25 plus congregations in the Midwest. Utilizing the Kalahari Resort in Sandusky, Ohio, a state-of-the-art conference center that boasts the largest indoor water park in the United States, the Retreat now attracts student ministries from all over Ohio and Indiana. High school and middle school students, as well as youth leaders, enjoy sessions from well-known speakers and worship bands, the excitement of a large group atmosphere, and of course, some amazing water slides. It’s also become known as a place where lives are changed – one of the original goals of the event. Just in the last three years, more than 1,000 students have made a first-time decision to follow Christ. 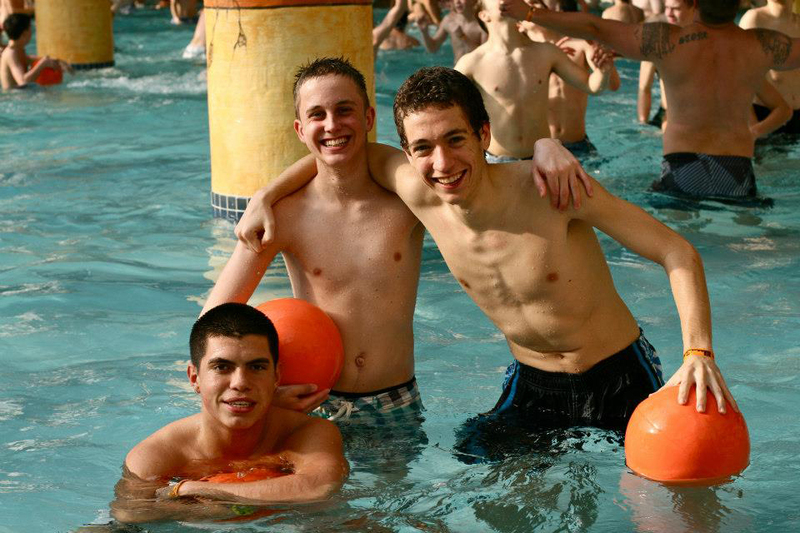 Students who attend the Kalahari Winter Retreat take full advantage of the indoor water park. He adds that one of his main goals is to make the retreat affordable to all students. The $129 per student fee includes two nights at a world-class resort, three-day access to the water park, all meals, and four sessions. This year’s retreat will be January 3-5, 2014, with dynamic worship led by Liberty University’s Exodus. Clayton King, the president of Crossroads Ministries, will present powerful messages from God’s Word relevant for student life. The retreat also includes plenty of time to play in a swashbuckling water park, spend time together as a youth group, and enjoy fellowship with people from like-minded churches. Have you attended the Kalahari Winter Retreat? What was the best part of the weekend? Share your story in the comments below.